So you’re moving to Richmond? Well, get excited because Richmond is not short on amazing things to see, do and eat! Regardless of what your interests are, you’re in for a fun-filled next chapter of your life! One of the more stressful parts of moving to a new city though can be finding the right place to live. 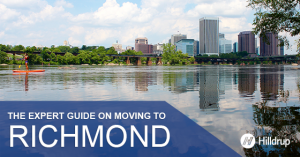 With the help of our movers in Richmond, VA, we created this guide that highlights the best neighborhoods in Richmond, VA. Keep on reading to learn all about Richmond, VA, or download the PDF here! Richmond is a vibrant city, which attracts many young professionals who want to live, work and play in an urban environment. Young professionals find Richmond to have a more affordable cost of living compared to nearby Washington, D.C. And the amenities are endless — an emerging craft beer scene with more than 18 craft brewers located within the city’s limits, running and biking trails along the James River and restaurants that have been featured in publications like Bon Appetit and USA Today. For aspiring millennial entrepreneurs, Richmond has been recognized by CNBC as one of the 20 best places in America to start a business and a top city for creatives by Thrillist. All have easy access to the city’s main highways so even if you aren’t lucky enough to work and live in the city, accessing these hot spots is relatively easy. Richmond is a wonderful place for young families to flourish too. Maymont, the Science Museum and The Children’s Museum provide outlets for kids to learn and play. There are also numerous food and music festivals held throughout the year, many of which are family-friendly. Richmond’s rich history and close proximity to Jamestown and Williamsburg also provide young families the opportunity to immerse themselves in the early history of our country. 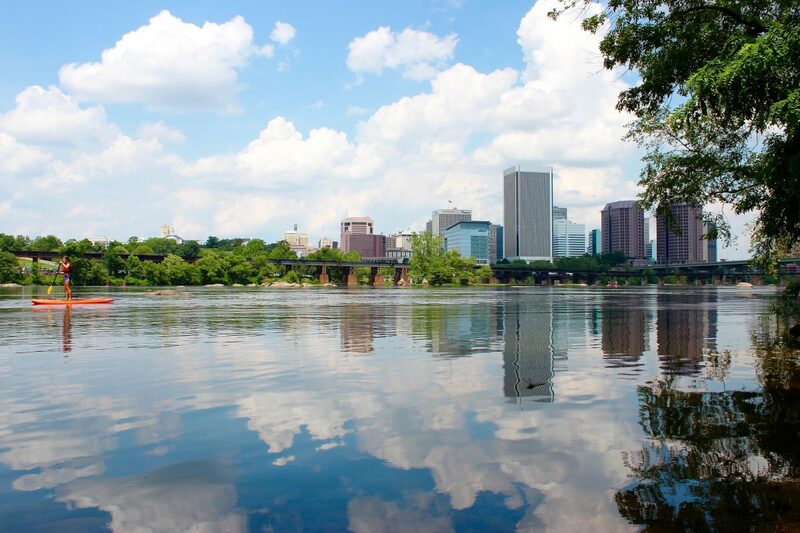 Richmond is a city where empty nesters will find a variety of activities to keep them busy. The Virginia Museum of Fine Arts and the Capital Trail are popular attractions for all ages. Additionally, Richmond is located within about an hour’s drive of Charlottesville where many of Virginia’s best wines are made. Men’s Journal named Richmond one of the 50 best places to live in America, and empty nesters will find a variety of housing options available to them. Many new development projects which incorporate popular amenities can be found both downtown and in the surrounding more suburban counties. Traditional single family homes can also be found within walking distance of the James River and some of Richmond’s many museums. Learn more about what it means to move to Richmond including museums, popular recreational activities and the dining scene with our free Richmond Move Guide. Download it here.